Out-takes and Requite-set short stories and other short pieces that don’t seem to find a home anywhere else. A hundred and fifty years after the Founding, the world is changing. In 439 S.A, Altair Malabranca becomes a prince. Spoilers for the ending of The Hawkwood War, if you care about that kind of thing. From The Maker’s Mask. Ligeia negotiates an alliance with Mukhtar Prime. Some bits of this got cut out and used in the conversations between Ligeia and Karely in The Hawkwood War. From The Maker’s Mask. Tzenni explains the Feud to Innes and then talks to Majed. This scene was cut very late and replaced with the scene in the bath-house, which was pretty much the last bit of the books to get written. 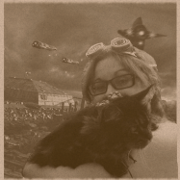 Kallisty and her bandits. 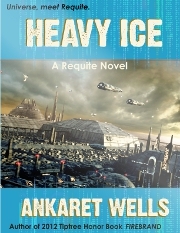 From Heavy Ice. Kallisty Hawkwood is better at recognising vrykols than people. 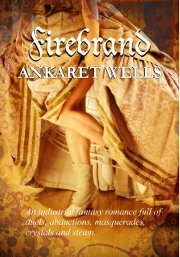 Out-takes and stories set in the world of Firebrand. According to Harriet. One of Kadia’s stepdaughters gives her side of the story.